I do consider myself a fun indian wedding photographer. 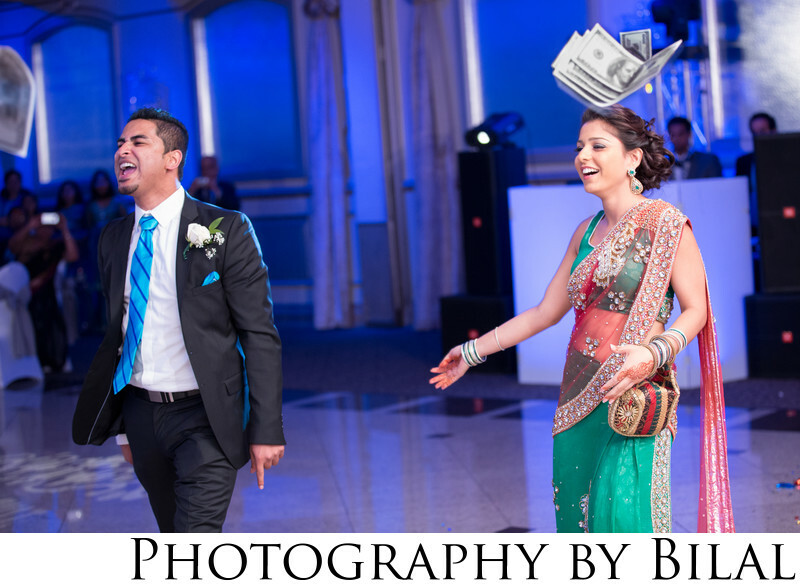 This was such a fun image, as these guests made their entrances to do a dance routine, they threw bills into the air. Luckily I was able to capture the bills as they were falling to the ground. This image was captured at the Royal Manor in Garfield NJ.